I read this tag from Keeping It Karen. I knew as soon as I read just the title I was going to enjoy reading it, I wasn’t wrong! How fitting does this tag seem though? Seeing as I am currently pregnant. Even though I and my partner are settled on a name, I thought it would be fun to take part in this anyway. See what other names I would like. 1. What is your favourite name from the Friends cast? Probably choose Rachel for this. I feel that is the name that wouldn’t be weird on a baby – can you imagine a little baby Chandler? Too me, that’s odd. Ivy – I have always loved this name for a little girl! Nieve – This is a cute name for a girl, I didn’t even know it was winter-themed! Wren – For a little boy, that’s adorable. Cyrus – This is a cute little boy name. Jasmine – Not only for the princess but the scent too! Kyra – This is a name I have a love-hate relationship with. 4. What is your favourite typically English baby name? 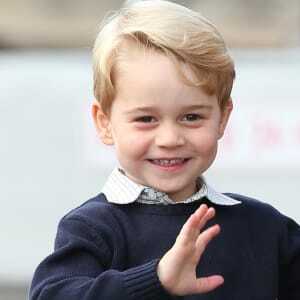 George – Whether it is because the royal baby George is so cute or because I actually like the name, I will never know. 5. What are non-negotiable to your partner? Aka names are you set on, no matter what they think? Iris – Something about this name I absolutely love! I think it’s different and traditional. 6. If you had to use a name from your favourite movie, which would it be? 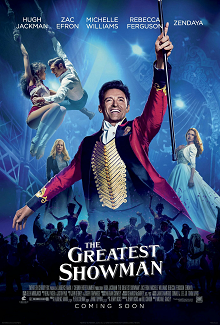 So my favourite movie is The Greatest Showman. I don’t really like any of the names in the movie, but the name Zac I could get on board with. 7. If you had to use a name from your phone contacts, which would it be? I like the name, Holly. I would spell it, Hollie, though. 8. What double-barrelled name would you consider for a boy and a girl? This is something I have never put much thought into, for some reason a double-barrelled name just doesn’t appeal to me. Although, saying that, some double-barrelled girl names can be very pretty! Ellie-Mai is one I quite like for a little girl. Tommy-Lee is a nice one for a boy because when he grows up he can just be called Tom if he prefers. 9. What Disney names would you choose for a boy and a girl? Aurora is cute for a little girl. Eric would be nice for a boy. 10. What would you name brunette, blonde and red-haired children? Secretly hoping my baby is going to be red-haired because the father is! Brunette: This is a tough one, I don’t know whether I can produce brunette children. My partner has red hair and I have blonde. I really like the name Arianna for a little girl though. Blonde: Another time I am going to mention the name George, but a little blonde George? How cute! Red: A little red-haired girl called Iris? Yes, please! 11. Favourite city/country themed name for a boy and a girl? Italy. Not only is it a beautiful country but it is also the place me and my partner got engaged, so it would just fit. 12. If you were to pick a Harry Potter themed baby name, what would it be? Fleur is such a pretty name for a little girl, who even knew it was from Harry Potter? 13. If you had to use one of your friend’s names, what would it be? Sophie – I love the name, it’s girly and cute. 14. What is your favourite space-themed name? Something about the name Astrid I have always loved. Athena is a different name for a girl. I like that one! Alexander is the only boys’ name I kind of like from Greek Mythology. At least you can shorten it to Alex. That was a lot of fun actually! I would love for you to get involved too! Make sure you link it back to my page so I can see your answers. All joking aside though, we have actually got a name for baby when he is born. I will be revealing that once he is here! So keep an eye out for that.